I love Lowe’s and I’m proud to say it! 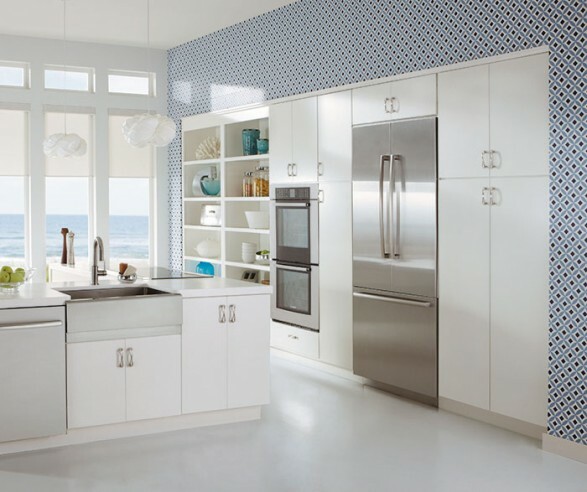 Thanks Lowe’s for helping us create beautiful kitchens and for sponsoring this post. My husband and I have decided to put our home on the market next spring, and I am already combing the local real estate listings in hopeful anticipation of a new home! Real estate experts often say that kitchens and baths sell homes. If this is true, then it is no wonder that many of the homes I am viewing are still on the market. From what I have seen so far from the available listings in our price range, a kitchen remodel will most likely be in our near future. Kitchen decorating is an extremely personal process and no matter what your budget, every family deserves a beautiful and stylish kitchen. 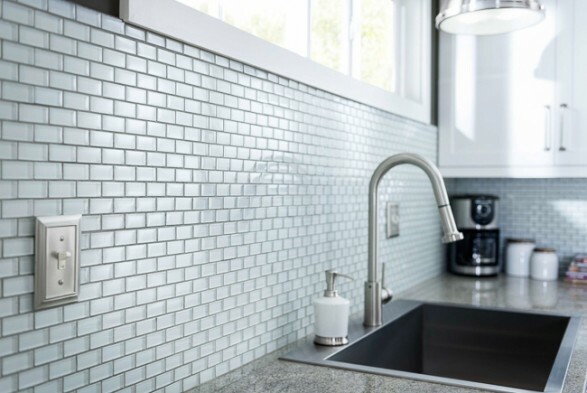 From cabinet color, to countertop material, to appliances, to pulls, finding a wide array of affordable and modern styles for a kitchen remodel can be a daunting process. I have designed, remodeled, and redecorated several kitchens over the course of homeownership and have found Lowe’s Home Improvement to be an excellent resource for my kitchen needs. 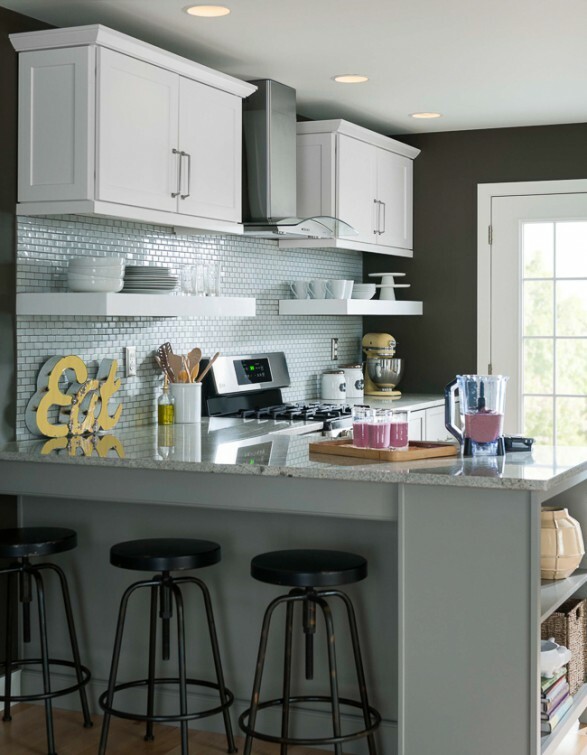 Today, I want to share with you 7 kitchen remodeling tips start to finish that will help you plan for your kitchen makeover. Tip 1: Decide what you want to remodel and determine your project budget. Your first task is to determine the scope of your project. How much of your existing kitchen can be saved and how much needs to be replaced? If you are able to work with your existing cabinets, you will save a bundle! Likewise, if you are able to work with the existing plumbing and electrical layout you will cut down on your installation costs and be able to devote more of your budget towards fun upgrades. A helpful formula to determine your maximum kitchen remodel budget is to spend no more than 5%-15% of your total home value. For example, if your home is valued at $300K then your kitchen remodel should stay between $15K-$45K. It is also wise to add an extra 10% safety net to your budget for unexpected costs. If there is one constant in home improvement, it is that unexpected expenses pop-up! Plan ahead by padding your budget in order to avoid being caught unawares. Tip 2: Gather inspiration and determine your decorating style before talking with the pros. Knowing your decorating style will help you plan more easily for your kitchen remodel and will help you convey your ideas to designers and contractors. Don’t worry if you aren’t able to come up with a one-word label for your kitchen style! More importantly than being able to put a label on your style is being able to communicate to others exactly what kind of kitchen you are hoping to create. The best way to determine what you like is to gather inspiration from decorating blogs, magazines, Pinterest, and photo galleries. I also find it helpful to create a Pinterest board for all of my design projects. When pinning a picture, be sure to list in the comment box exactly what you like about the picture you are pinning. This will clarify the elements you like within the picture and cut down on miscommunication when you share your ideas with kitchen designers and contractors. Tip 3: Think about your kitchen space and have fun with it before you design it. Choosing cabinets, paint colors, back splashes, countertops, hardware, and lighting are what make my heart go all-a-flutter! However, the most important aspect of any kitchen remodel is the flow, functionality, and layout of the kitchen. It might sound silly, but I highly recommend “playing pretend” in your soon-to-be-remodeled space! When I designed our kitchen and our neighbor’s kitchen, I did some rough space planning using spare 2×4’s on the floor so that I could get a physical sense of flow issues–such as how far away the sink would be from the stove. I had toddlers at the time and imagined what it would be like to have them clamoring at my feet while I carried a boiling pot of spaghetti from stove to sink. This little exercise ruled out some of my initial ideas and helped me determine where appliances needed to be located. 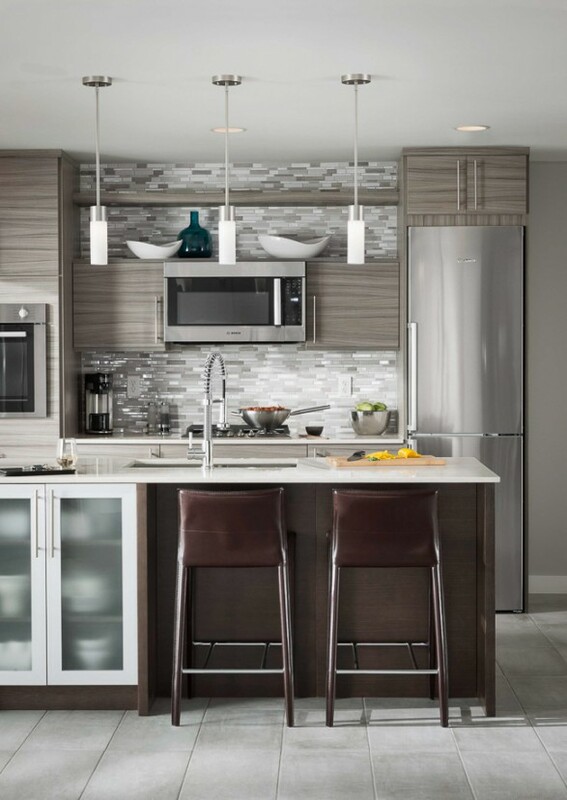 Visualizing how you will use your kitchen will help you plan your spatial design. 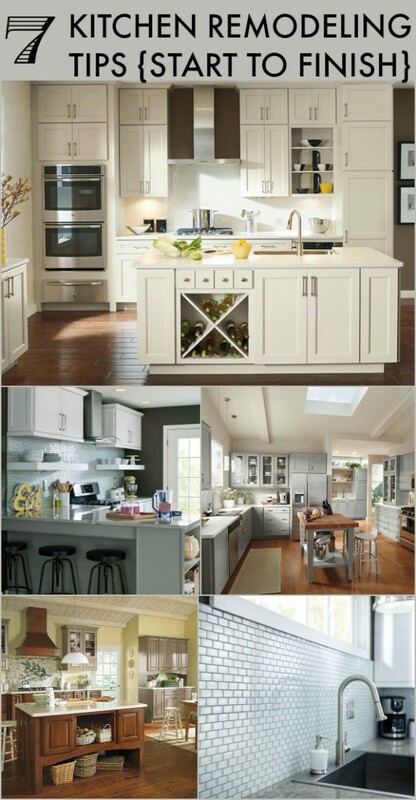 For further help, check out Lowe’s Kitchen Planning Guide which is a great resource and will help you get started. Tip 4: Carefully select the time of year to begin your remodel. Kitchen remodeling is messy business! Since most of us do not have the luxury of moving out while our kitchens are being remodeled, it is important to think through how best to survive the inconvenience and mess. Choose a time of year when your schedule is the least hectic and the weather is the most fair. Many find that late spring to early fall works best. Being able to use your grill and eat outdoors during your remodel will help you cut the stress of the mess. Tip 5: Think high-low decorating when picking out your furnishings. 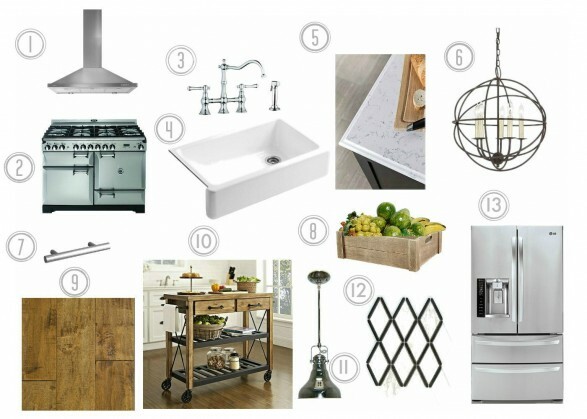 I created this kitchen design board using all products found online at Lowe’s to give you an idea of what I might create in our next home! Chances are good that I will not be able to afford that drop-dead-gorgeous stove, but I might choose to splurge on the french door refrigerator and quartz countertops. When choosing your furnishings, do not be afraid to take a high-low decorating approach. 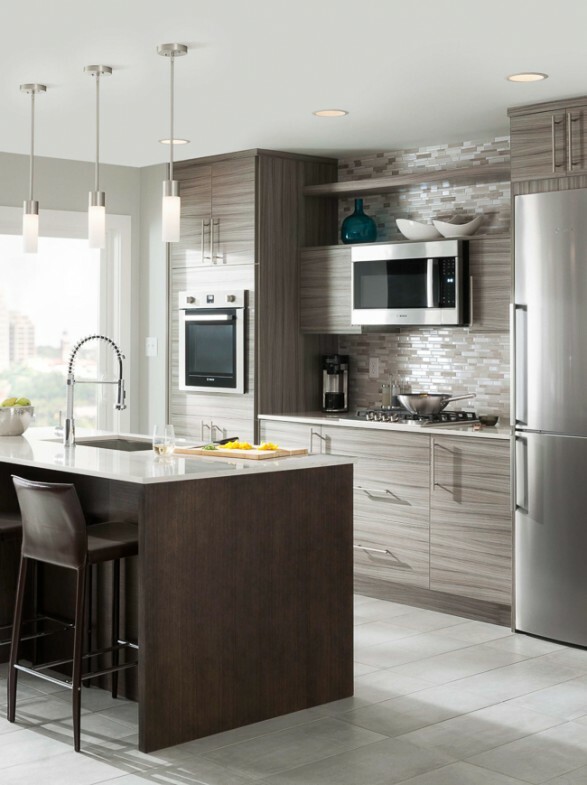 Choose some high-end kitchen furnishings and mix them with more budget-friendly options. In my inspiration board, all of the furnishings work beautifully together even though the items are from vastly different price-points. My luxe stove looks great with the $50 school-house pendant lights! Tip 6: Choose your professionals carefully. Finding a reputable contractor for your remodel is imperative! Lowe’s appliance, cabinet, and countertop experts may be able to offer suggestions for local contractors so be sure to use your local store as a resource. When interviewing potential candidates, ask for referrals, look at credentials, and check up on references. The chemistry you have with each potential contractor should also be noted. Trust and rapport go a long way when someone is in your home for several months! Once you have settled on a contractor, get everything in writing and scrutinize the contract before signing. Good client/contractor communication and a thorough understanding of the contract will help to ensure your customer satisfaction. Tip 7: Review your remodel, make a punch list, and be sure you are satisfied. It might sound obvious, but making sure all of your appliances are in working order, all hardware knobs in place, all cabinets and drawers opening and closing as expected, all outlets working, etc. is a necessary final step in your kitchen remodel. The Lowe’s design teams can bring your vision to reality. If you registered at My Lowes before making your purchases, all of your Lowe’s orders will be accessible to you. So for example, if you need to replace or add a missing kitchen pull, you can easily look back on your purchases to find the product number of the missing hardware. Finally, be sure you have all kitchen appliance warranties in your possession before you part ways with your contractor. 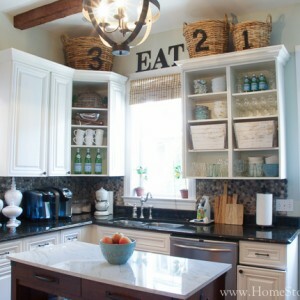 I hope these tips have helped as you begin to plan for your kitchen remodel! If you liked this post, be sure to check out my other kitchen posts in the “related posts” section below. Disclosure: This post is sponsored by Lowe’s. All opinions are my own. A lot of people think that it is any easy task. On the contrary, if you don’t have the proper tools necessary for such tasks, it can be very difficult to accomplish. Just do your research and hire someone to do what you can’t. I have been wanting to remodel my kitchen for a while now, but i haven’t any idea about kitchen remodel and i saw your blog which is informative for me because there has lot’s of ideas and i obviously try this ideas. This is actually a very good tip list. As someone who has been through several renovations, this is exactly what people should be following. Good post! Most homeowners don’t factor in the impact of weather on remodel progress, but you definitely don’t want to deal with high temperatures or snow if you can’t use your kitchen. Great tips, thanks for sharing! Thank you for talking about how the first step when remodeling is to figure out how much you want to change and what is staying the same. I can see that doing this can help you come up with an accurate budget and make sure you make appropriate plans for the parts that are changing. Personally, I would want to make sure I consult with a contractor I trust to make sure the best materials are used to remodel my kitchen and that I have enough storage space around it. I agree, when you’re decorating and remodeling a kitchen, it is very personal. There really isn’t going to be one style that you can stick with that will appease everyone who decided to redesign their kitchen. Instead, you should look at other designs for inspiration and then give them your own personal twist. Wonderful Post….! I love Your Post..! You are so creative. 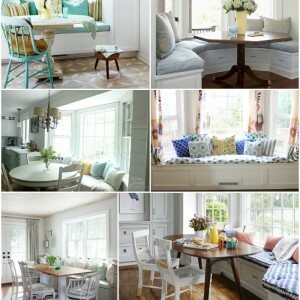 Awesome decoration tips in your kitchen room. I like your all tips and ideas. Thanks for sharing Your Post……….! Thanks for saying that we need to make sure all of our appliances are working. If I was going to get my kitchen renovated for my wife it would be really inconvenient to have to deal with broken appliances. I’ll need to contact a professional for assistance when I am getting the renovations finished. This is awesome information about kitchen remodeling! My wife and I have been talking about remodeling our kitchen for a long time, and we are finally going to pull the trigger on it. Thanks for mentioning that remodeling should be scheduled at a time when you are the least busy and the weather is good. That way, things won’t be so hectic and you can spend time outside while the work is being done. 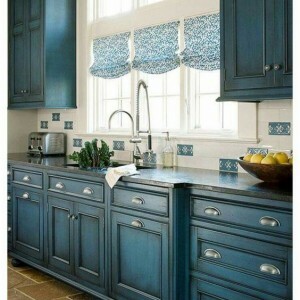 I appreciate the information on kitchen remodeling and how to make it the best, it was very helpful. I agree that one of the best things you can do is to decide your budget ahead of time and stick to the budget as much as you can, this will make sure you don’t spend too much. My sister is looking to do some remodeling in her home, I will be sure to share this information with her. 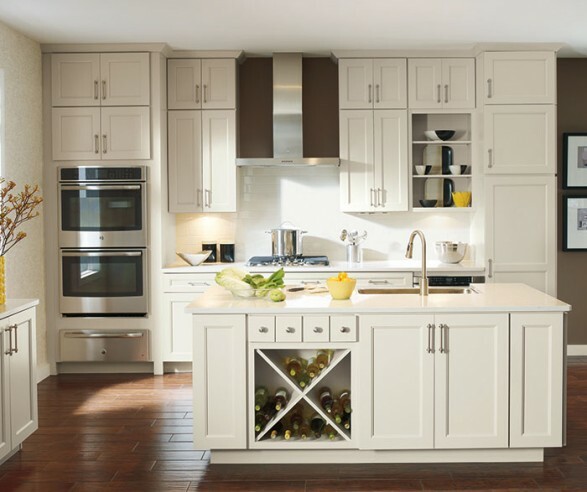 It is great to see these photo”s of the Diamond Brand of Cabinetry by MasterBrand Cabinets. With all of their paint and glaze options and fantastic storage solutions for your kitchen, you can truly create a beautiful and fully functioning Kitchen that will last a lifetime! One of the first things I think about when dreaming of owning a home is what I would want my kitchen to look like! The blue tile in one of your photos caught my eye and has honestly gotten me thinking about incorporating a look like that into my space. Thank you for sharing these tips and your thoughts on the process! I love your sixth tip to pick a good professional. When I remodel my home next year, the kitchen is my focal point. I want a home remodeling company that understands where I want to put my focus, but can still do a good job with the rest of the house. I will definitely check up on their references like you said. Thanks! 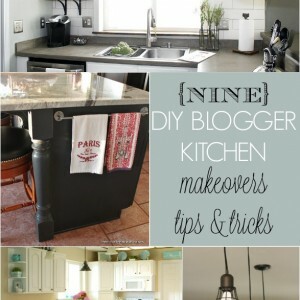 I absolutely love that back splash in the photo under tip #3. Is that a type of marble tile? I am trying to gather some different designs for our kitchen remodel and I would love to know what materials to look for. We want to do similar colors as well because the white is so versatile and you can change other colors without worrying about anything clashing. I really like what you said about not only planning the remodel, but planning the timing. We are going to be kitchen-less for a bit, so we need to plan it out during a time when we can use other methods of cooking. I have a feeling we’ll be using crock pots, and eating out. I have to agree that you should really consider what time of year you want to remodel. It is probably a good idea to do it when it is warm enough to cook outside since your kitchen will not be in use. However, I would like to add one item to your list. When figuring out a budget etc. figure out what you can do yourself and what you will need help with. You can probably rent a dumpster and do most of the demolition yourself giving you more money to spend on appliances etc. I really like your tip about making sure that you hire your professionals carefully, Beth. It can be really important to make sure that anyone that works on your home renovations is licensed, insured, and experienced. This way your renovations will be reliable and last for years to come. I’ll keep that in mind the next time I want to do any remodeling. I like what this article mentions about deciding one the details before it comes down to it. I think that knowing exactly what I want changed about the kitchen, and how I might like it could be very helpful to the process. I’ll have to remember to plan ahead, and make sure It’s not too complicated as to where I’d have to move out for a time. Thanks for the post! I would have never thought that the time of year to be remodeling your kitchen would actually matter. If I ever needed to remodel it, I would definitely do it in the summer, it would be a great way to get outside and eat or use the grill as you mentioned more often. My family is looking to remodel certain parts of our house including the kitchen, I’ll be sure to let them know that they shouldn’t do it anytime soon because it is still winter. Thanks for the advice! #4 is a great tip, that isn’t one I hear of too often. But it is a great one. You are absolutely right – you can just go outside and use the grill! I agree that it’s important to check all the little things. Nothing is more frustrating than getting everything installed and having something on one of your appliances not work right. Check it now in order to save time and money later. Couldn’t agree more. The kitchen is often the busiest room in the house and as such it takes quite a bit of abuse. Cabinets and counters get banged, backsplashes get stained, and walls get scuffed and scratched. Fortunately there are plenty of things that can be done to update a kitchen without undertaking a huge renovation. Excellent advice. One of the harder areas of a remodel is visioning what the end result will be beforehand. Any tips on how to accomplish this creative process or is this something that is just a gift? I like your remodeling ideas! I especially liked your third tip. I think that it’s really important to have fun while designing the kitchen, and it shouldn’t be a chore. My husband and I have a notebook where we draw different design ideas for our kitchen, and it has been a lot of fun! We always get at least one or two ideas from each design, and I think in the end it’s going to help us design our perfect kitchen! If anyone needs ideas for their kitchen, I’d recommend grabbing a cheap notebook to help with the process! Great tips, thanks for the post! I love the tip to think about and have fun with the space before you design it. Of course, utility and functionality needs to be important in the design, but those things can be determined with a lot of creativity. My husband will really enjoy this part of the process! I have been wanting to remodel my kitchen for a while now, but I didn’t realize the planning that goes into such a task. Scheduling the remodel during a slow work season is a great tip and will improve the quality of experience. Making a punch list will be quite helpful as well. Thanks for the helpful tips! You made a great point about determining the scope of my project before working on my kitchen. Knowing about things that I can work with seems like a great tip for saving money. 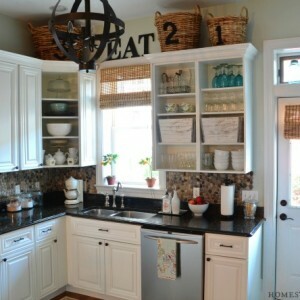 I’ve always liked my kitchen cabinets, so I don’t have to worry about that. I know that the flooring is something that I need to work on, so I’ll focus on that to get the most out of my remodeling.